RIO GRANDE CITY — The final juvenile defendant in the Chayse Olivarez murder case was certified to stand trial as an adult Tuesday, the final step in prosecutors’ goal of having all four teenagers accused in last summer’s grisly murder tried in adult criminal court. Philip Henry Selvera Jr., 16, is charged with murder, tampering with a human corpse and tampering with physical evidence and now faces up to life in prison if convicted of the most serious charge as opposed to the 40-year maximum sentence reserved for juveniles. Starr County Attorney Victor Canales told visiting juvenile court judge Judge Everardo Garcia that Selvera allegedly received $10,000 from one of the defendants, Jose Luis Garcia Jr., to organize the July 30, 2017 murder of Olivarez, whose burned and mutilated body was discovered in a Roma lagoon more than a week later. Selvera, Canales further alleged, in turn paid two more teens — Sebastian Torres and Salvador Martinez — to take part in the crime. “The complexity of this undertaking … is not the work of mere children,” Canales said during the certification hearing, arguing that Selvera be viewed as an adult before the law. Selvera’s attorney Calixtro Villarreal, however, argued the judge should keep Selvera’s case in juvenile court because his client, per the results of a psychological evaluation, lacked the sophistication and maturity of an adult and did not display a high risk of re-offending. He pointed to the psychologist’s recommendation that Selvera not be tried as an adult and the psychologist’s opinion that Selvera could best be rehabilitated within the juvenile justice system. In Texas, transferring a juvenile — or someone alleged to have committed a crime before the age of 17 — is up to the judge’s discretion. In addition to the sophistication and maturity of the child and his or her prospect for rehabilitation, a judge must weigh the evidence, or probable cause, that the child committed the crime and the seriousness of the offense, per the Texas Family Code. “Courts depend on your findings … you would want to think that’s what they do (since) you’re the expert at making these types of recommendations,” Villarreal said during his cross examination of Dr. Javier Martinez, who told the defense attorney that in his 30 years as a clinical psychologist, he has never once recommended certification. “… Based on the field of psychology, our belief is rehabilitation is the primary objective, and juveniles are better suited for rehabilitation in a juvenile facility,” Martinez said while on the witness stand. The judge ultimately sided with the state’s request, telling those gathered in the courtroom — including the families of both Selvera and Olivarez — that “the tools of the juvenile system are not adequate” for the 16-year-old, who will turn 17 in December. Garcia set Selvera’s bond at $400,000 and Selvera was taken into Starr County sheriff’s custody after the hearing. Villarreal said he will not appeal the judge’s decision. 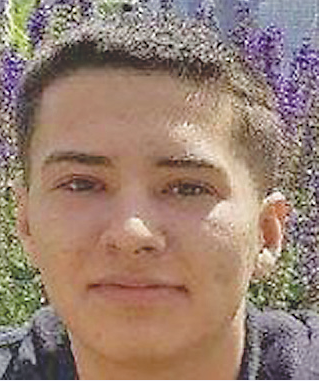 Defense attorneys for Torres, the other juvenile in the case who was certified as an adult in January, have appealed Starr County Court-at-Law Judge Romero Molina’s decision to transfer his case to adult court. It is likely that prosecutors for the 229th District Attorney’s Office will now seek to move Selvera’s case to Hidalgo County and to try all four defendants together. As it stands, only Torres has a tentative trial date set. He will be in court for a final pretrial hearing next week to determine whether his early September trial date will actually stand.